For more than 20 years, companies in nearly every industry, including many in the medical device field, have adopted Lean Manufacturing practices with varying degrees of success. 1. Lean Manufacturing is not only for manufacturing. It turns out that any enterprise can apply the lean philosophy. Lean is a continuous improvement philosophy by which we work to provide the customer with a defect-free product or service, when it is needed, and in the quantity it is needed. Medical device designers can use the tools and problem solving methodologies of lean to improve the design process, thereby reducing time to market and improving the quality and manufacturability of a product design. 2. Lean Manufacturing practices must be driven by overall company strategy. The executive management team must develop a strategy based on the organization's guiding principles and cascade the strategy down to each department and employee. This ensures that everyone in the organization is working toward a common goal using the lean tools as needed. For a medical device designer, the company strategy might drive improvement toward a faster development process. Accordingly, the organization would measure its performance using metrics that tie back to this. See Dolcemascolo discuss "Lean Transformation for Medical Device Development and Manufacturing" at MD&M West, in Anaheim, CA, February 10-12, 2015. 3. Lean Manufacturing requires a system for daily management. Design organizations can utilize this approach to monitoring key performance indicators, and then work toward identify and eliminating the obstacles that prevent them from reaching their organizational goals. 4. For long lasting results, Lean Manufacturing requires a culture change. Over the past five years, the Improvement Kata (or Toyota Kata) approach, pioneered by Mike Rother, has been proven to be quite effective in creating a culture of continuous improvement within organizations. This approach systematizes the PDCA (Plan Do Check Act) cycle such that many rapid PDCA cycles are used to work toward improvement targets. Ultimately, this approach becomes a habit within the organization. In the medical device world, this same approach can be used to create a culture of problem solving thinking toward continuous improvement. The design organization would have a mechanism to continuously improve the development process. 5. Lean Manufacturing requires a different kind of leader. Leaders must become coaches that can model and teach the problem solving process. To be effective coaches, they must often visit the gemba, the place where the work happens. Design and engineering departments need this kind of leadership as well to create and sustain a culture of continuous improvement. 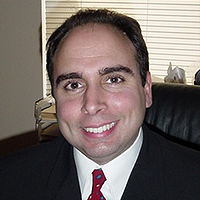 Darren Dolcemascolo is a senior partner at EMS Consulting Group (Carlsbad, CA).